Flowers are the best gift for women and a universal gift for any celebration either. 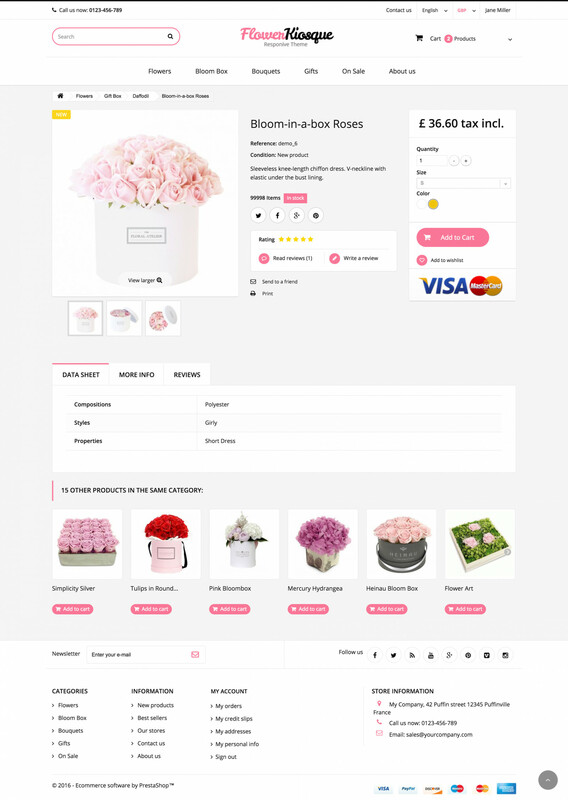 If your business is connected with flowers delivery then you will be glad to know all the advantages of our new Prestashop 1.6 Flower Kiosque Responsive Template. This theme is visually glorious and it has very rich functional at the same time. Represent your best offers and new arrivals on a big slider and beautiful gallery on the homepage. 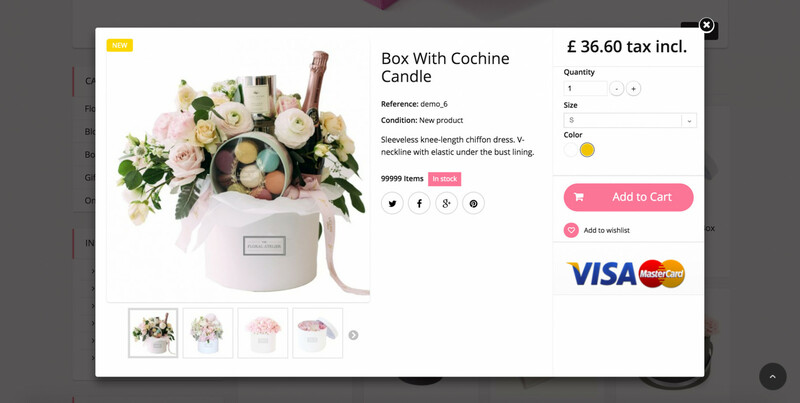 Customers can easily look through the products with quick view option. 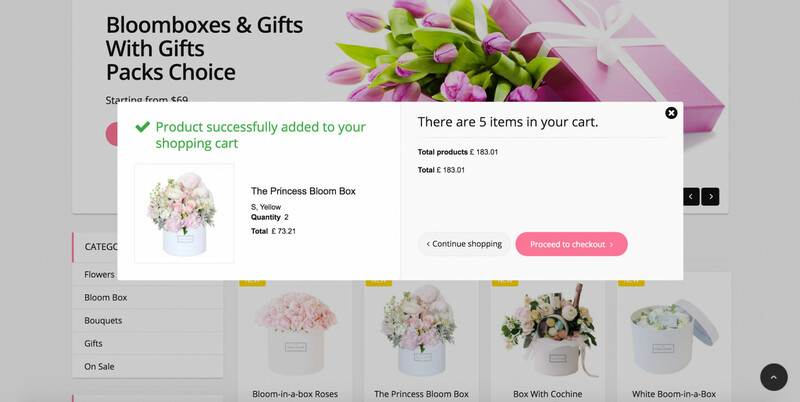 Extended filter in catalog will help your customers find the right bloom box or flower bouquet that will be ideal surprise for loved ones. With a help of rating and reviews option on a product page your customers can simply share their opinions about your product. 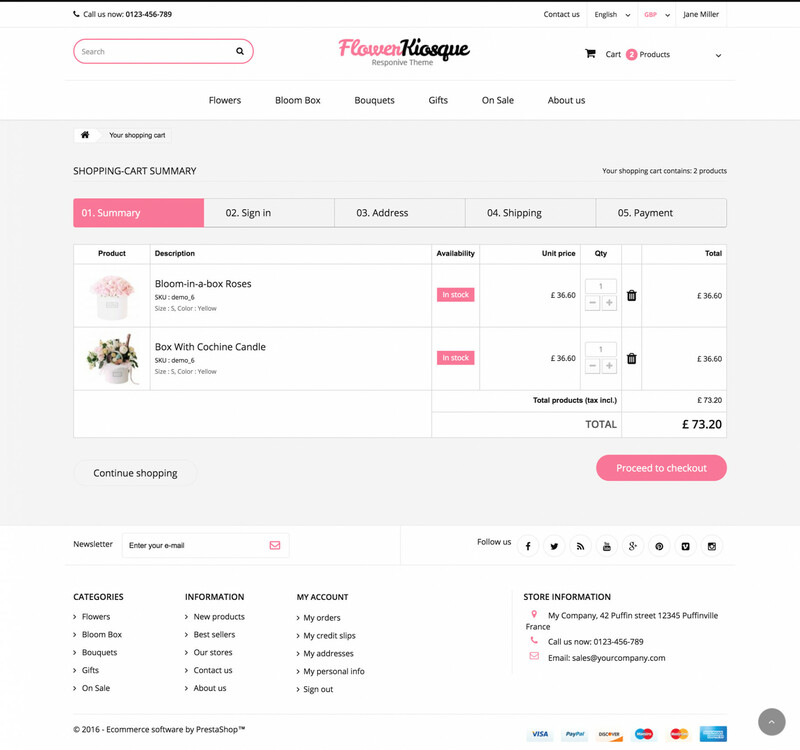 Flower Kiosque Theme will make your webstore look perfect, professional and reliable. Besides, responsive template allows your webstore quickly shape up to any device with any screen size and format. All of the blocks are flexible, whether it is a text or images, everything could be perfectly adapted to required screen. Take your sales to the next level with awesome appearance and functionality.